It’s no secret that everyone wants to have the perfect skin when it comes to taking photos, and in everyday life. I recently received* a box of Shiseido products from their Ibuki range to help achieve that perfect skin. I am going to run through the products that I have been trying out and giving you my own personal thoughts about each product. The star of the show is the Shiseido Ibuki Smart Filtering Smoother Serum. This is a serum that has the qualities of a skin blurring effect “smart filter” to make your skin appear flawless. This is a big trend going around in some beauty brands right now, but the first serum-based one I have seen and tried. This serum reduces the appearance of pores and absorbs excess oil. This leaves your skin with much fresher and more mattified appearance. I tend to have a lot of texture issues and oiliness now and then, so this is a serum that I am going to continue using in the morning when I need the extra help. Another standout that I have been using regularly is the Shiseido Ibuki Quick Fix Mist. I am a big fan of setting sprays and spray products in general. This gel mist helps correct shine and skin dehydration, while making sure your makeup stays on your face flawlessly. The anti-shine quality is the big bonus in my books. Although I only have a little sample version of this mist spray, I imagine the full-size product would provide a better mist spray then the little version I have. I am definitely considering purchasing the full-size product as we approach the warmer seasons. There are two skincare products that are a power duo to help make sure your skin is at its best. The Shiseido Ultimune Power Infusing Concentrate helps defend signs of ageing and skin damage. It acts as a booster for any skincare that you apply afterwards. I’m positive I’ve used samples of this in the past and really enjoyed using it, just as I am now. The Shiseido Ibuki Beauty Sleeping Mask is great for restoring radiance to your skin overnight while you’re sleeping. Waking up to more well-rested looking skin is always a great way to start your morning. Have you tried any of these products from the Ibuki range, or any Shiseido products in general? I have used their face sunscreen in the past and it quickly became a favourite. I’d love to hear your thoughts on the other products in the range in the comments below. 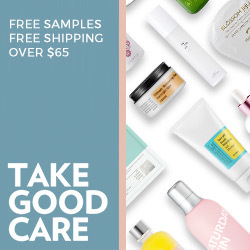 *These products were given to me for free by Influenster, but all opinions are my own.